BizSpark gives Startups fast and easy access to Microsoft’s current full-featured development tools, platform technologies as well as production licenses to bring to market innovative and interoperable solutions for the next generation of user experiences. Deal: Up to $60,000 of FREE Azure cloud services for 1 year and free software and tools such as Visual Studio and Office. PAYMILL’s developer friendly REST API lets you accept credit and debit card payments directly in your website and mobile application. Available across Europe, online businesses can accept online payments globally, enabling them to scale internationally from the get-go. The API gives you full control of your checkout so you can deliver a user experience optimised for higher conversions. And with heavy-duty security measures already built-in – you can rest easy knowing your data is secured. Further information at www.paymill.com Deal: Paymill offers a discounted price on their services, direct full technical support and a customised deal for every startup applying to its Startup Program. Amazon Web Services provides startups with low cost, easy to use infrastructure needed to scale and grow any size business. AWS Activate is a program designed to provide startups with the resources needed to get started on AWS. Deal: Up to €100.000 in AWS credits, 1 year of premium AWS Business Support (up to $15,000), free access to the AWS Essentials 1 day web-based training (normally ~$600/course), plus 8 tokens for self-paced labs (normally ~$30/lab), free access to 1:1 virtual office hours with AWS solutions architects. Blueface provides top of the range Cloud Telephony services for Businesses in Italy, Ireland and the United Kingdom. Setting up your entire business communication system in less than 24 hours, virtualising your PBX functionalities and creating a fully Unified Cloud Communication service. All of the above comes at an extrememly competitive price and no onsite technician needed. Deal: Blueface for Startups: 1 Year Unlimited landline calls, a new number or Number Porting, mobile calls at 9 cent./min., a Panasonic IP phone with HD voice, full scale access to all our Cloud services @ 119 Euro ex VAT. International Numbers: 20 % discount on all International Numbers . BeatPick is a global music licensing company working for adverts, films, internet videos and games. It is easy, quick and reliable. Deal: Users from LUISS ENLABS can get a music license at the discounted price of €10. The music can be used for promotional videos, events and business presentations. Build a cross-platform and scalable backend for your app in seconds. BaasBox is the new Magento for app development! Everything you need to create beautiful apps. Focus on creating a great user experience and forget complex infrastructure. 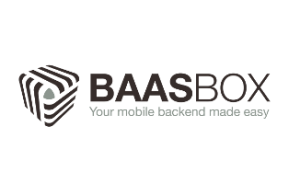 BaasBox is a software that manages a scalable, reliable and secure backend for mobile applications. Deal: 6-month free subscription to the BaasBox Cloud Service to instantly start with a scalable backend. The team has their office at LUISS ENLABS and they're ready to support the startups firsthand. 1 month of hospitality and access to INcubes network.